a wine glass and top with the champagne. Garnish with a sprig of mint. garnish with a slice of Japanese cucumber. cocktail strainer. Garnish with a sprig of rosemary. dissolve sugar. Reduce heat to a simmer, then simmer, covered, for 10 minutes. Hiro Sake is a line of hand-crafted Japanese Sakes: Junmai Sake (Hiro Red), Junmai Ginjo Sake (Hiro Blue), and the presteigous Junmai Daiginjo Sake (Hiro Gold) which combine innovation and authenticity to deliver an enjoyable, flavorful experience – ultimately changing the way people drink Sake. 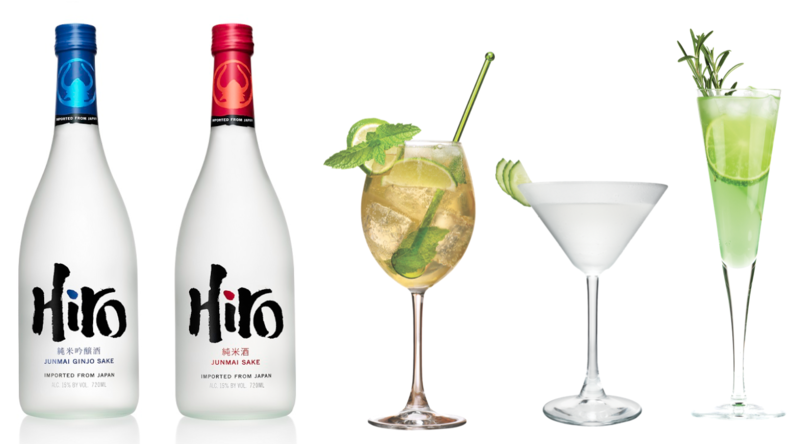 Hiro is an eleven-time gold medal winner at the largest and most acknowledged Sake competition in Japan, the National New Sake Awards. In addition, Hiro Blue (Junmai Ginjo) was named the BEST Japanese Sake imported to the U.S. and awarded a double gold medal at the 2015 San Francisco International Wine Competition. Hiro is available at Whole Foods and on www.hirosake.com.